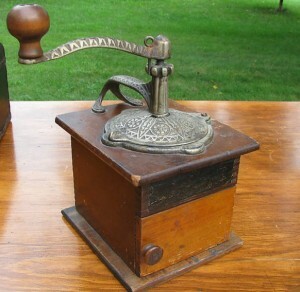 A hard to find collectible antique coffee grinder. Made in the early 1800’s for grinding fresh roasted coffee. Ones in good condition can still be used to grind coffee, but as an antique, it is more of a collectors display item.